Special financing: Offers good for Yamaha Card Holders or for customers approved through the Yamaha HSBC Credit Card program: 6 Months Same as Cash: $0 down, 0% interest, 0 payments or $69 per month 9.99% APR for 24 months. Call us at 1-800-229-7274 for complete details! TNT Golf Car & Equipment Company is the knowledge and reliable source for your international purchase. In business since 1961, we sell new and used golf cars,parts, and specialty vehicles. Our specialty is Yamaha Golf Cars and parts, but we also deal in Club Car and EZ Go. We have shipped to customer in Spain, Germany, England, Iceland, and Japan. We generally sell golf cars in container loads but can handle smaller shipments if necessary. Specialty vehicles and parts are shipped in all quantities. Please call us at 217-228-2226 to discuss international sales. We accept Master Card, Visa and Discover. You can safely enter your entire credit card number via our secure server, which encrypts all submitted information. All payment information is securely routed, processed, and secured with payment services by Verisign. When you place your order online, your credit card is authorized for the amount of the order. Your card is not actually charged until your order ships. Credit card orders can only be shipped to a certified shipping address on the credit card. If you would like your order shipped to a location other than your billing address, please call your credit card company, tell them you want to add a certified shipping address to your credit card and then call us toll-free at 1-800-229-7274 to place your order. At this time, TNT Golf Car & Equipment Company is unable to accept Visa, MasterCard and Discover credit cards issued at banks outside of the US. For security and fraud protection reasons, we verify all account information when a purchase is made. Foreign banks cannot provide us with this information, therefore, we are unable to accept these cards. TNT Golf Car & Equipment Company does accept checks and money orders denominated in U.S. dollars as a payment option. To pay using these methods, you must call 1-800-229-7274 to place your order. Once your order has been confirmed, you will be provided with an address where payment should be made. If paying by check, there will be some delay because we will not ship merchandise until funds clear your bank. For most orders, paying by personal check will delay your order one to two weeks. Currently we will only accept postal money orders denominated in U.S. dollars or checks denominated in U.S. dollars drawn on a U.S.A. bank. Checks must also have a valid nine-digit bank routing number (ABA code) MICR-encoded on the bottom of the check. We agree to match any price of the same brand, year, make, model, and quality merchandise if you contact us within 30 days of your purchase. TNT is committed to giving the best price if you have found a lower, delivered price on in-stock merchandise from a reputable verifiable authorized dealer. Please call toll-free at 1-800-229-7274 to request a price match. TNT Golf Car & Equipment Company may, at its own discretion, limit or cancel quantities purchased per person, per household or per order. These restrictions may include orders placed by the same credit card and also orders which use the same billing and/or shipping address. Notification will be sent to the e-mail and/or billing address provided should such change occur. We reserve the right to limit the quantities sold, including the right to limit or prohibit sales to dealers. Prices and availability are subject to change without notice. Errors will be corrected where discovered and TNT Golf Car & Equipment Company reserves the right to revoke any stated offer and to correct any errors, inaccuracies or omissions including after an order has been submitted and whether or not the order has been confirmed and your credit card charged. If your credit card has already been charged for the purchase and your order is cancelled, TNT Golf Car & Equipment Company will issue a credit to your credit card account in the amount of the charge. Individual bank policies will dictate when this amount is credited to your account. Sales tax is not charged on orders to any other state. Sales tax is not charged to any business that is setup as a TNT Dealer. For more information about becoming a TNT dealer, please click here, or call us toll-free at 1-800-229-7274. TNT ships 99% of all orders within 1-3 business days from date received. Most orders are actually received by our customers in 7 business days from the date order was processed. You will receive a shipment confirmation via email on the evening that the order shipped. Golf Cars - All golf cars have free shipping to a business location, this could be a golf course, office of a housing development, etc. 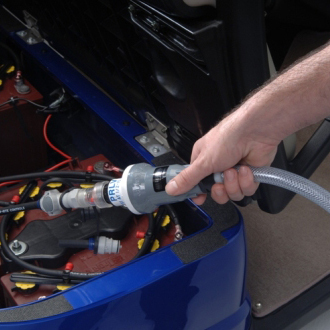 A charge of $75.00 applies if shipped to a residence or if a rear seat kit/utility bed are installed on the vehicle. Shipped via Allied Van Lines. Parts & Accessories - Parts and accessories are shipped via UPS ground. No shipping charge will apply to any orders picked up at one of our locations. Next Day Air, 2nd Day Air and International shipments are available for an additional cost; please call 800-229-7274 to receive a shipping quote for those options. The shipping fee is $6 plus 6% of the order's total. Oversized Parts & Accessories - Oversized parts and accessories are shipped via FedEx Freight. The shipping fee is calculated based on weight, dimensions and end location, call 800-229-7274 for details. Bulk orders welcome with volume discounts. If you have any questions about your shipping options or shipment times, please call us toll-free at 1-800-229-7274. Occasionally, we are out of stock on an item. You will be notified. If a delay is inconvenient, please notify us and we will cancel the order or send you a refund. All shipments are insured for the replacement value of the item. If you received damaged merchandise, please call us toll-free at 1-800-229-7274 to arrange an exchange. TNT Golf Car & Equipment Company is an authorized retailer of every product we carry. All our products are purchased directly from the manufacturer or importer. TNT Golf Car & Equipment Company was founded in 1961 and is one of only 30 Yamaha Golf Car Distributors in the nation. We are one of the largest suppliers of Yamaha parts in the nation with an inventory of over $200,000. We have been the favorite supplier of customers from all the nation because we offer quick service and great prices. The TNT staff has many years of experience and have the knowledge to answer any parts or service questions. TNT sells parts and accessories for Yamaha, Club Car, and EZ Go golf cars. TNT has a complete manufacturing facility to produce six and eight passenger vehicles using the Yamaha chassis. Call us for quick service and a professional job. When its time to purchase your next part or accessory for your golf car or are interested in purchasing a new or used golf car, contact us. We'll give you the best price and service. Delivery is available in enclosed transport to your location. Become a registered user on our website. Track the status of your order after logging in. Listed below is the warranty on the products we sell. If requested, we can fax you a copy of the policies for new products. NEW YAMAHA G-MAX GOLF CARS: Limited Three Year Warranty. 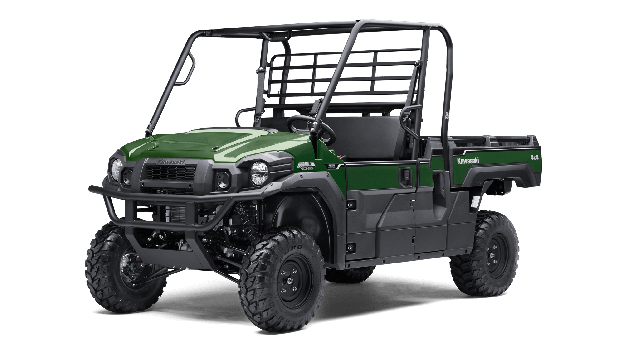 NEW YAMAHA U-MAX UTILITY VEHICLES: Limited One Year Warranty. RECONDITIONED GOLF CARS: Limited 6 Months Warranty. USED GOLF CARS AND UTILITY VEHICLES: Limited 90 Day Warranty. PARTS & ACCESSORIES: Limited 90 Day Warranty. The manufacturer's warranty covers repair or replacement of defective parts, subject to the conditions set forth. To locate a service center near you, please call 800-229-7274. If a part or accessory has been abused, WE WILL NOT accept it for return or credit. Returns are subject to a restocking fee, depending on the condition of goods and packaging materials. For an RA Number (Return Authorization) on returns call Customer Service at 1-800-229-7274. All Returns require an authorization number. Please note that an RA# does not guarantee final disposition. All returns are subject to inspection. All exchanged merchandise must be in original factory condition, including all packaging materials and all accessories. Please do not tape or write anything on the item or the package! We will charge you for replacement of damaged, altered, missing, written-on or taped-on contents or cartons. We reserve the right to refuse any such items. Pack the products into a shipping box with plenty of packaging material, and tape securely. There will be a 15% restocking fee on all retruned merchandise regardless of condition. Write the RA# issued by Customer Service clearly on the outside of the shipping carton. Any merchandise returned to us unauthorized will be refused. Please ship your parcel back to us freight paid! We suggest that you use UPS Ground Service "Insured". Sorry, we cannot accept COD or freight-collect shipments. Call us toll-free at 1-800-229-7274 for more information!